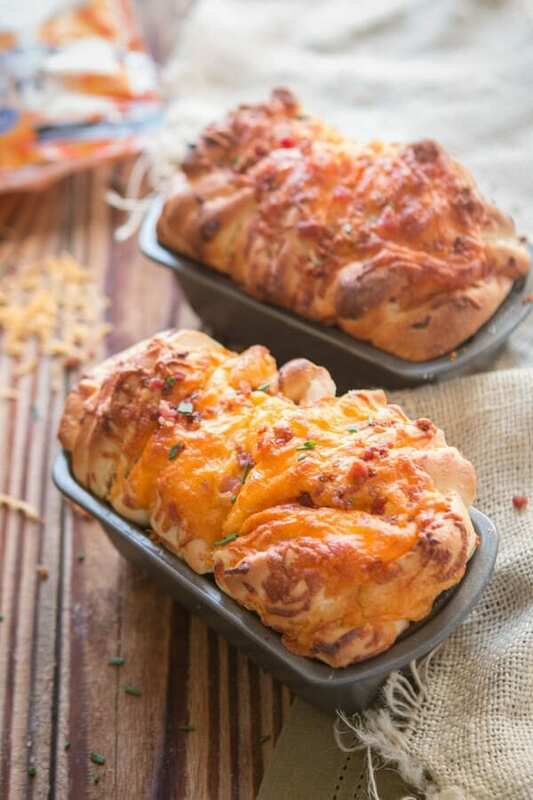 Party food, game day appetizers, or even just a need for carbs this Bacon Ranch Cheesy Pull Apart Bread is exactly the thing you’ve been craving. I don’t know about you, but ranch is a total comfort food for me. I love a good vinaigrette on salads, but if I’m ever feeling like getting into something comfortable and staying in I tend to go for ranch. It’s just salad dressing but it really does feel more comforting to me. 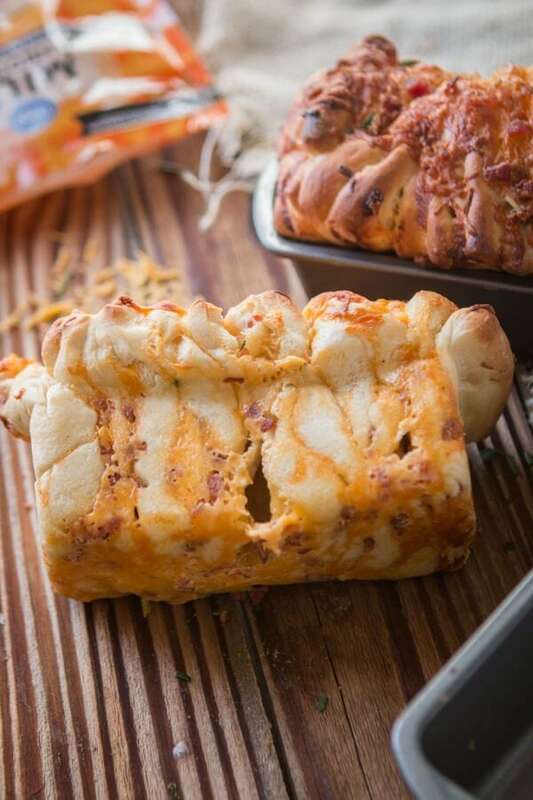 Can You Freeze Pull Apart Bread? 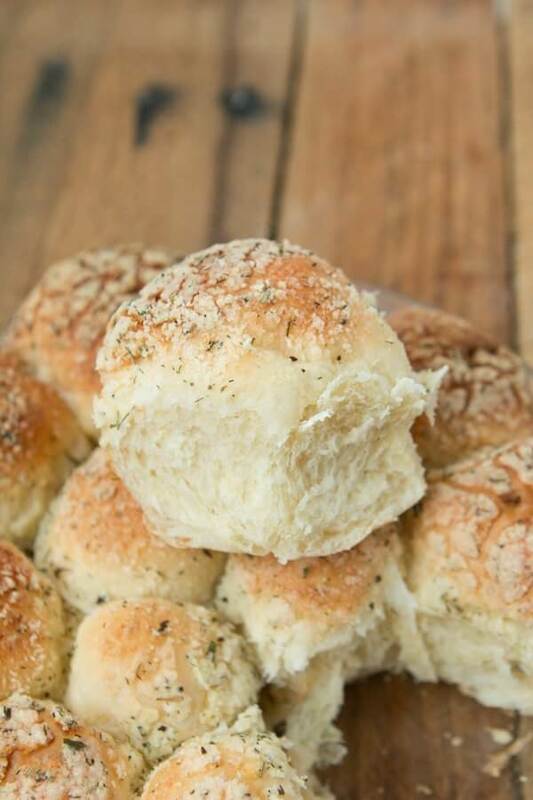 If you need to store Pull apart bread for longer periods of time, you can freeze it. When storing breads in freezer, make sure the bread is well wrapped so it retains moisture. When you are ready to eat the frozen bread, it’s important to take the bread out and allow it to thaw completely. Then reheat foil wrapped bread in the oven. 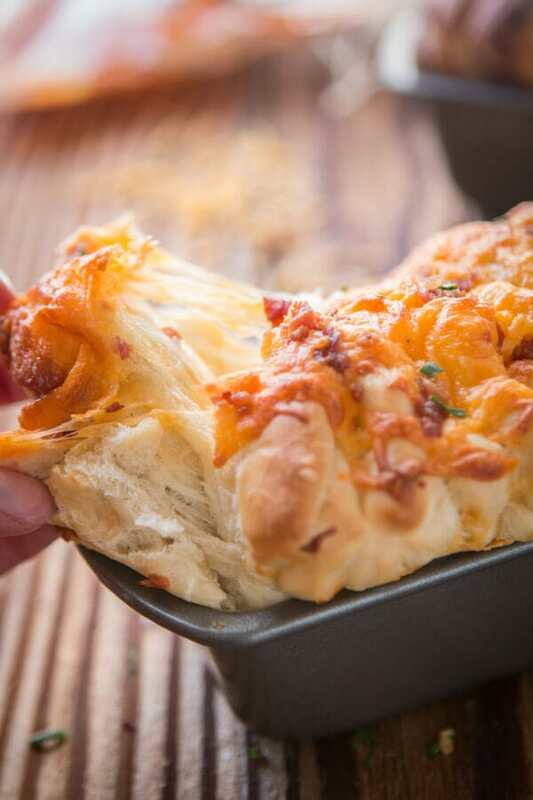 How Do You Reheat Pull Apart Bread? Covering the bread in foil while reheating will ensure your bread stays soft and doesn’t turn into croutons. Preheat oven to 400 F and heat for 8-10 minutes. 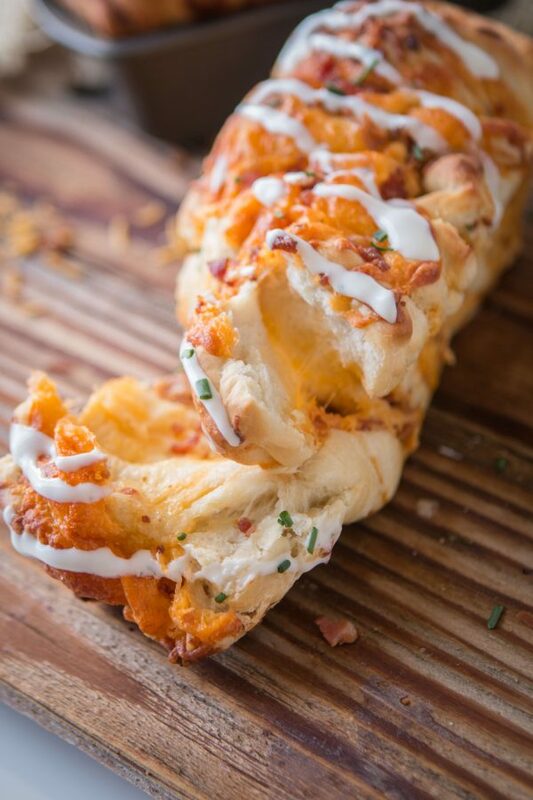 This bacon ranch cheesy pull apart bread is pretty much made for the Super Bowl. It is everything that is good about Super Bowl Food. Oh my goodness, we should do a spinach and artichoke version!!! See, that’s how blogging works. One thing always leads to another. We’ve been using Rhodes frozen rolls and as you can see, since we are using a mini loaf pan Cade, yes this is actually Cade’s recipe and I’m stealing his thunder, Cade cut it so it would fit in the pan. But if you choose to make a full loaf pan, no worries, just don’t cut the dough and instead of pulling it out at the finished bake time, check on it by wiggling the pieces back and forth to see if the middle is still doughy. 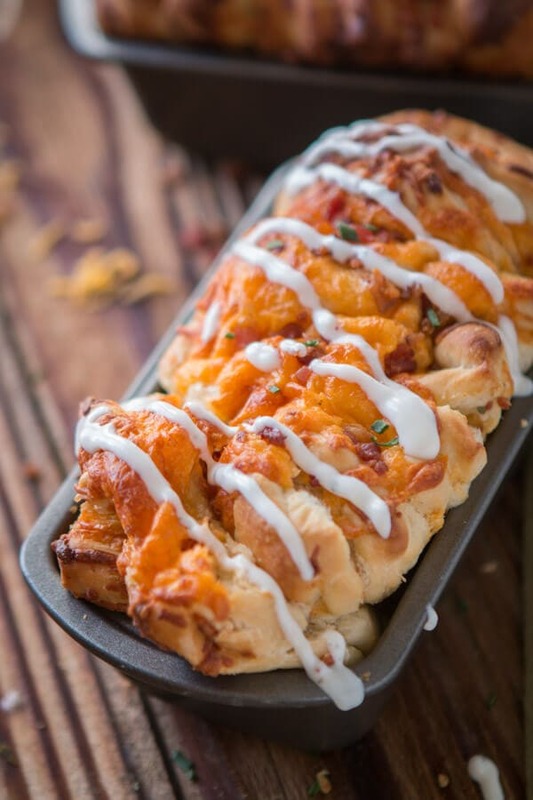 When I made the apple pie pull apart bread with maple glaze (it’s listed below so you can click over) he said, we should make a savory version! And the rest is history. 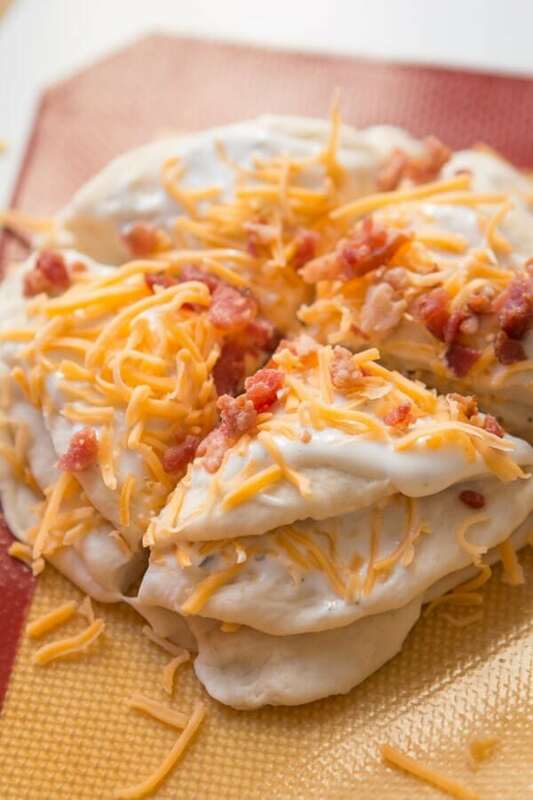 Just stack your down, slather on a little ranch, cheese and bacon, which by the way we bought the crumbles from Costco because Costco puffs something out into the air that makes you buy all sorts of things even though you only came in for toilet paper. But it worked out well and was less prep work so, winning! Turn everything on its side and bake until golden! Drizzle a little more ranch on top (I thinned this one out with a little water because it was an extra thick and creamy ranch) and sprinkle with chopped chives. Enjoy! Spray the bread pans and heat the oven to 350 degrees. 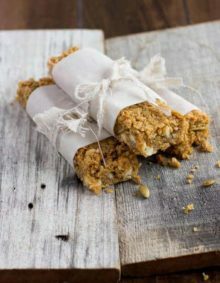 On a counter or silpat, using the palm of your hand, rolling from one side of the palm to the other in a circular motion around the dough, press out the dough into circles. Stretching does not seem to work as well and leads to uneven dough pieces. 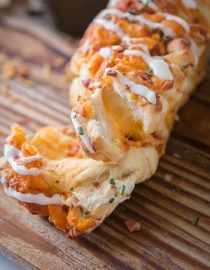 Using a spoon, spread a spoonful of ranch on the dough, sprinkle with about 2 tablespoons of cheese and 1 tablespoon of bacon. Top with another pressed out dough circle and repeat until you’ve got about 4 circles stacked. Cut the dough into quarters and place in the pan, rounded side up. Repeat with another stack of dough but sure to leave the top layer plain as you don’t want cheese and ranch sticking to the pan. Think of it like a loaf of bread, you want an end on the stack. Repeat a second time with your second loaf pan. Allow to rest with a towel over both pans for 30 minutes. 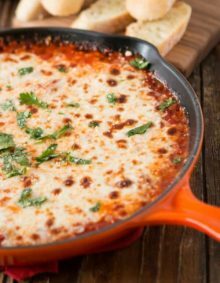 Remove from oven and drizzle with a little extra ranch and sprinkle with chives. Oh, so you think you like pie? 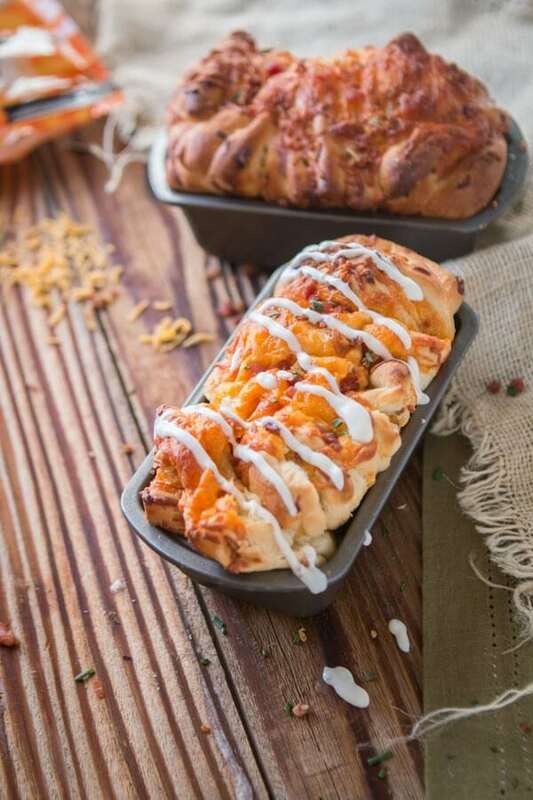 Well just wait until you have this apple pie pull apart bread. 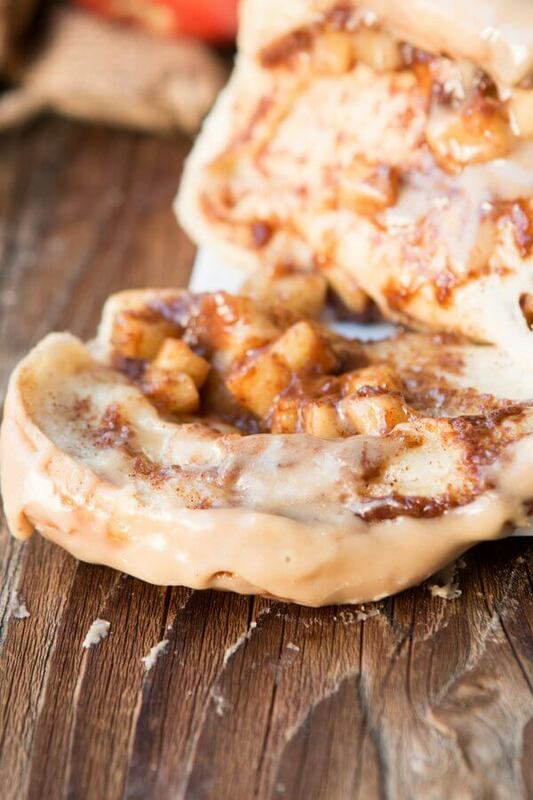 It’s like a pie, cinnamon rolls and a maple bar donut in one heavenly loaf. 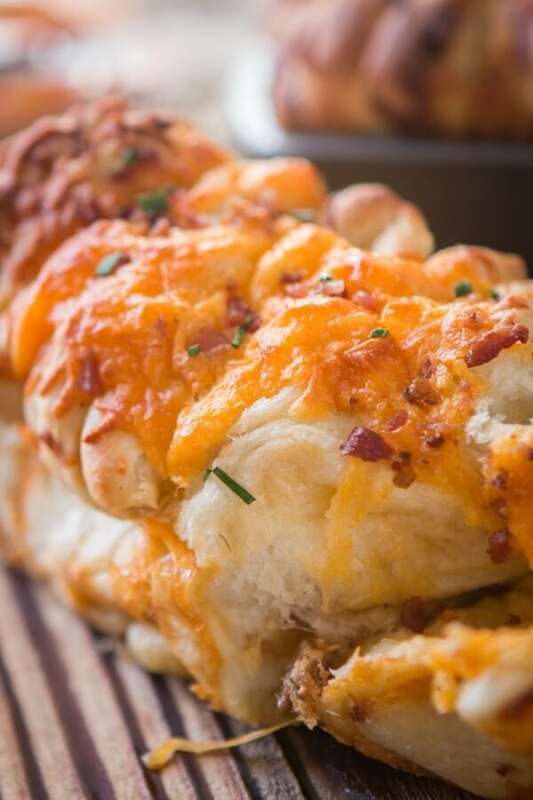 Holy cheesy deliciousness. I don’t even know what to say about this one other than, I must, must, must make it! 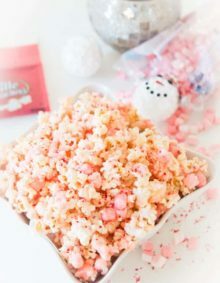 Our friend Crystal taught us this recipe years and years ago and it’s still one of our favorite recipes. That flavor is amazing! 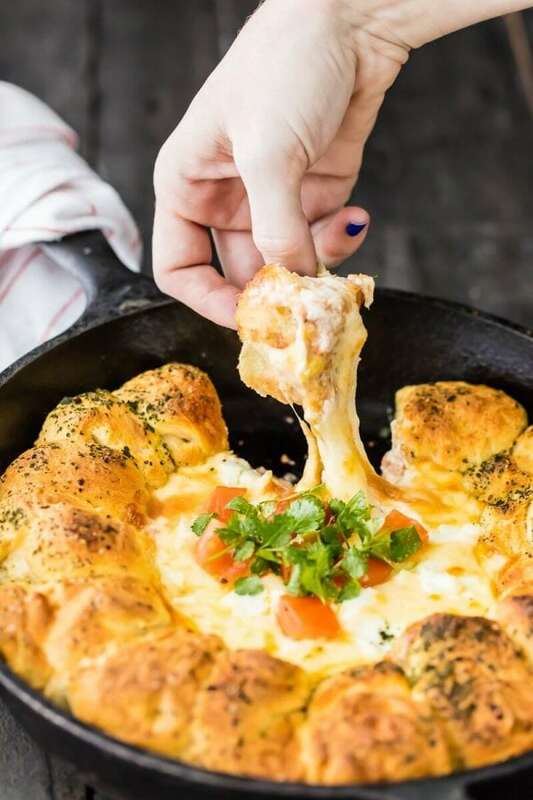 This bread looks amazing, Carrian!